A three hour hike from Shek Pik Reservoir, near the southwestern tip of Lantau, lies Fan Lau – a small collection of abandoned buildings spread along the sandy shores of Lantau Island, ending at the lighthouse and pier. Nearby stands the Fan Lau Fort, an outpost believed to be built to combat pirates in 1729 and declared a historic monument in 1981. How to get there: Bus 11 from Tung Chung, three hour hike from Shek Pik Reservoir. Ma Wan Island is better known for the Park Island complex which dominates it. 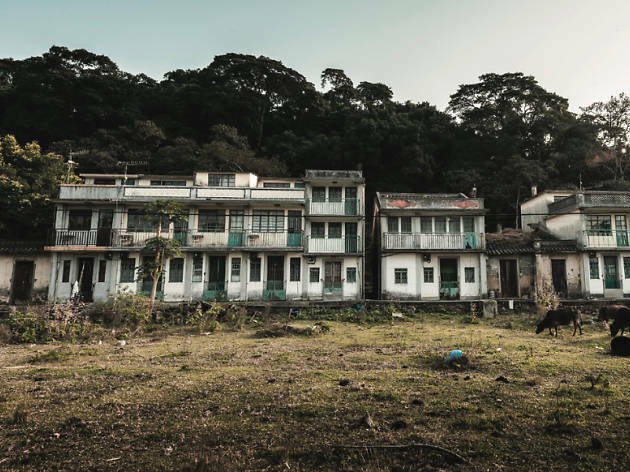 But behind all that, sitting right on the water’s edge with an overwhelming view of the Tsing Ma Bridge, are the ramshackle stilt houses and abandoned buildings of a former shing village. Ma Wan Main Road has many buildings that have been fenced off and marked as government property, and others which have just been left open and have become overgrown. One end of the village remains quite lively, as visitors from the nearby housing high-rises stroll along the pier, while remaining residents go about shing, making shrimp paste, and drying sh. There is the smell of incense still burning in the small, well-kept Tin Hau temple. The silence between the deep red walls is broken by the sound of an airplane shredding through the sky. 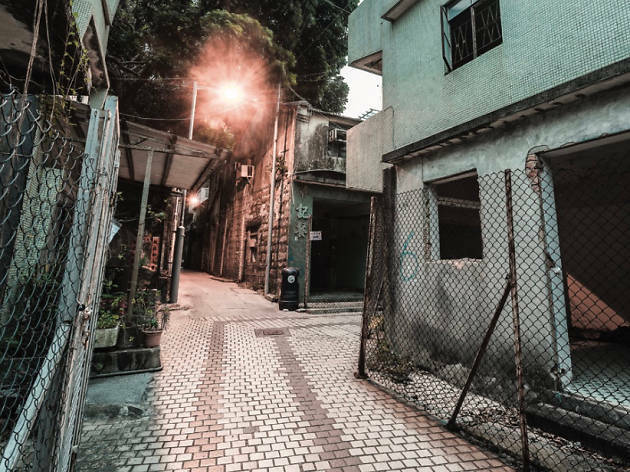 This is the mark of Ma Wan Village – grounded under ight paths, pushed against Park Island, sped past on the Tsing Ma – it stands calm and crumbling as the city rumbles around it. How to get there: Take the ferry from Central Pier 2. 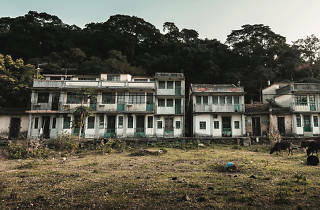 Beyond a scenic trail along Starling Inlet in the far northern borderlands of the New Territories lies the deserted strip of houses that make up Kuk Po. 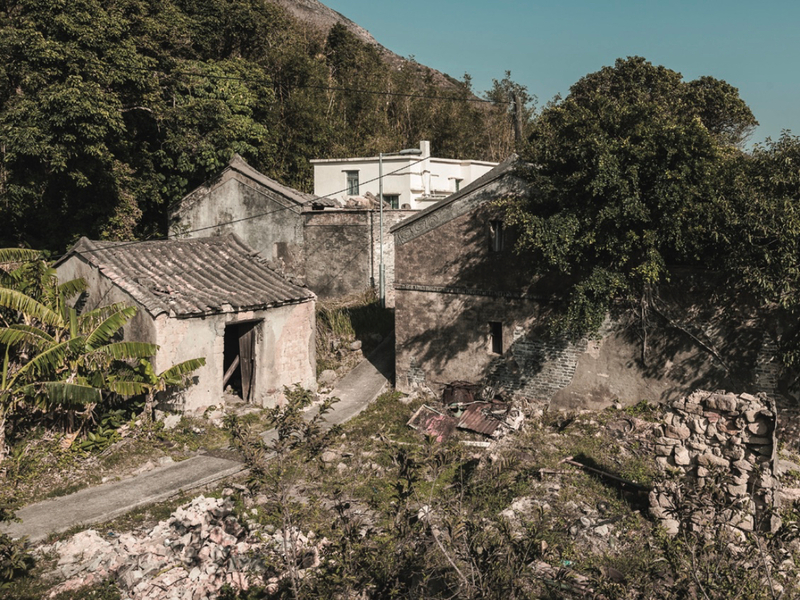 This Hakka village once had a population of 1,000 – villagers who farmed rice and other crops to sell in nearby Sha Tau Kok. Numbers started dwindling in the 1960s as residents were offered an opportunity to start a new life in Britain. By the 80s, the majority of the remaining residents were elderly. Now, as you emerge from the hike from the inlet, past the Kuk Po village school, where a section has been converted into a tiny temple, you’ll nd little more than a cluster of cows eyeing you lazily in the low, sun-soaked greenery and a row of fascinating but slowly tiring structures. There are a number of smaller villages in the area under the name of Kuk Po. Current resident, Mark Sung, has returned to live in Kuk Po after growing up there. He is the sole resident of his village, although he knows of residents from neighbouring villages nearby, running small restaurants catering to hikers. How to get there: Minibus 56 from Fanling, 1.5 hour hike from Luk Keng. 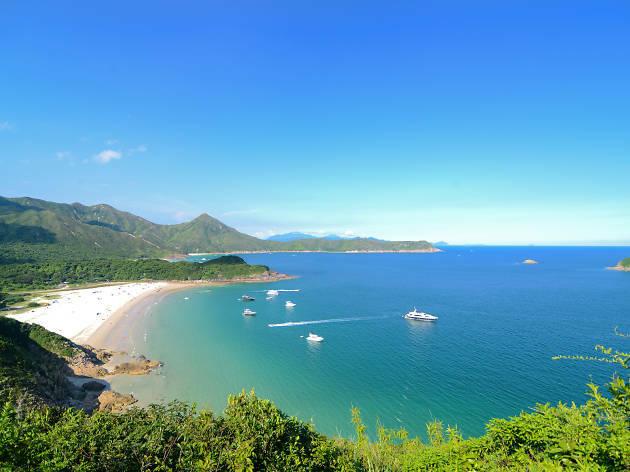 The tiny island of Yim Tin Tsai, just off Sai Kung, was once the home of a Hakka village overlooking now long-gone salt fields from which it took its name. “Even when I was a boy, the salt fields were no longer in use,” eighth-generation ex-resident Colin Chan tells us. Currently, the island is uninhabited save for one couple. The population of about 200 when Chan was a boy has since moved overseas in search of education and employment. But the village has certainly not been forgotten. 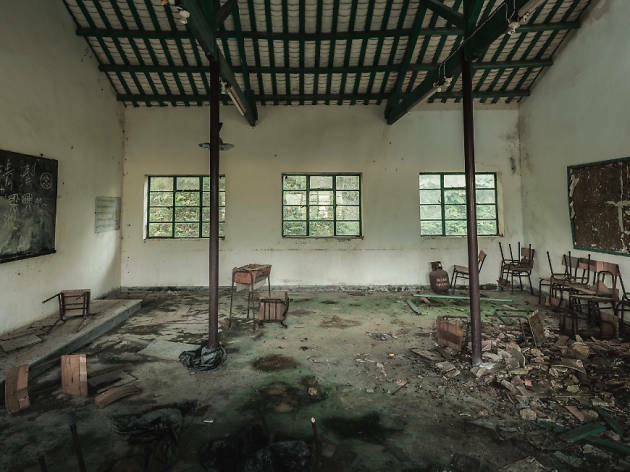 Headed by Chan, the Yim Tin Tsai Village Rural Committee is in the process of restoring buildings. The committee hopes to bring life back into the village and offer the restored buildings as a place for peace and prayer away from the chaos of the city. The Catholic church was refurbished in 2003 and, along with its adjoining classrooms, has been turned into the Yim Tin Tsai Heritage Museum. But for now, the former houses look as though the residents simply disappeared one day, leaving behind the evidence of their daily lives – bottles on shelves, clothes on hangers and rotting wooden chairs rising out of the rubble. How to get there: Ferry from Sai Kung Pier. See oasistrek.com for timetable. 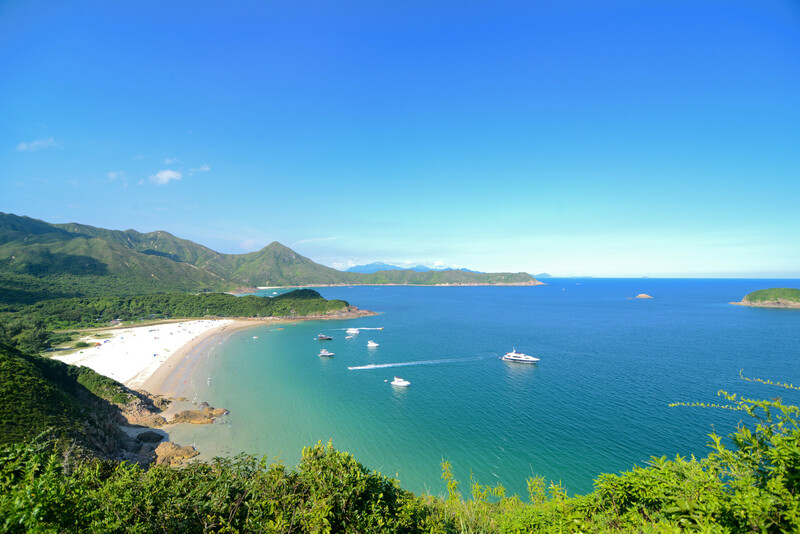 Keen to explore more of Hong Kong?